In the fall, our HVAA Travel Soccer program offers a U-8 Friday Night Training Session to our HVAA players interested in Travel Soccer. Trainings are held on our state of the art Turf Field and are run by our HVAA Travel Soccer team trainers. 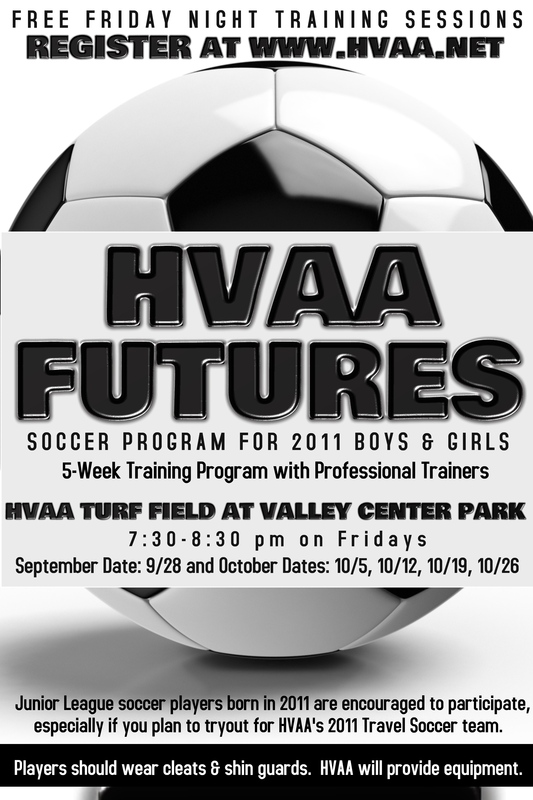 For more information email soccer@hvaa.net.